One of the best ways to save money painlessly is to repurpose something you already have or something new that is much cheaper than buying the finished product. A good case in point is a composter. Some composters cost more than $100, and you can make your own compost bin from a trash can in no time and save bunches of money, even if you have to buy a new trash can. Making a compost bin from a trash can is easy and can be done in about a half an hour or less. Drill holes through the sides and bottom of a trash can to create ventilation. Place an even mix of brown and green materials inside the can. Brown materials include leaves, twigs, wood chips, newspaper, and cardboard. Green materials include fruit and vegetable scraps, grass clippings, coffee grounds, and egg shells. Add a small amount of water to the can–just enough to moisten the materials. Then place the lid on the can, bungee cord it in place, and give it a quick roll around the yard to mix the contents. Position your can on top of a few bricks to ensure good airflow, and your compost bin is ready to go. 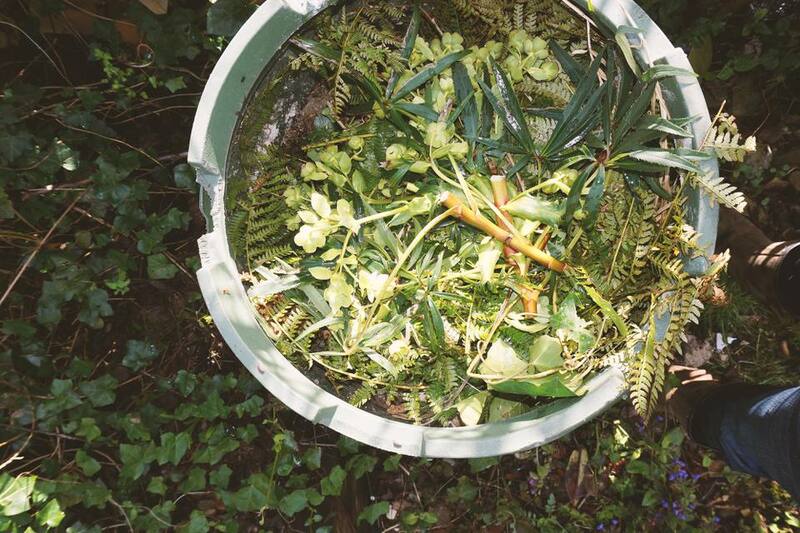 Roll your compost bin around the yard once a week to keep the contents mixed. Add a bit of water whenever your compost seems dry. Why Are My Worms Trying to Escape From My Vermicompost Bin?